Nanpuu is an okonomiyaki shop that I seem to visit whenever I am in Tsu. When I last spent an evening in Tsu and couldn’t decide on where to go, I decided to head back to the same restaurant I visited the previous time I was there. That previous time I had the okonomiyaki, but this time I decided to try something new and different. 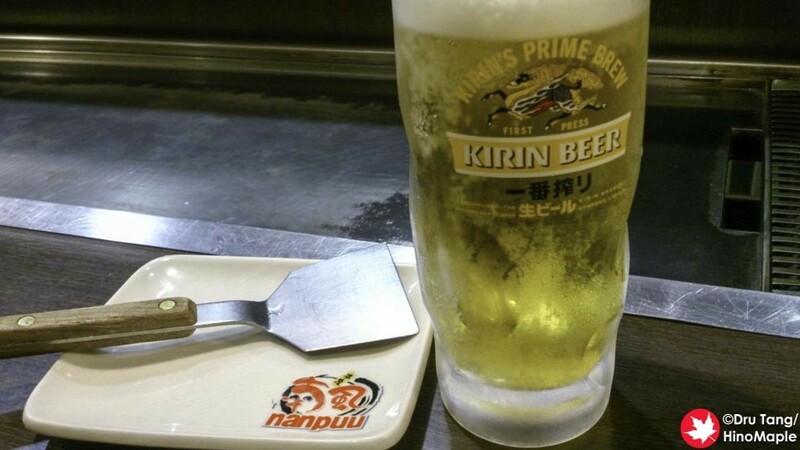 Nanpuu is from Himeji, Hyogo and with it comes a slightly new take on okonomiyaki. If you have ever been to Hyogo, they have akashiyaki, a take on okonomiyaki where it is very soft and gooey and dipped in a small dashi soup. 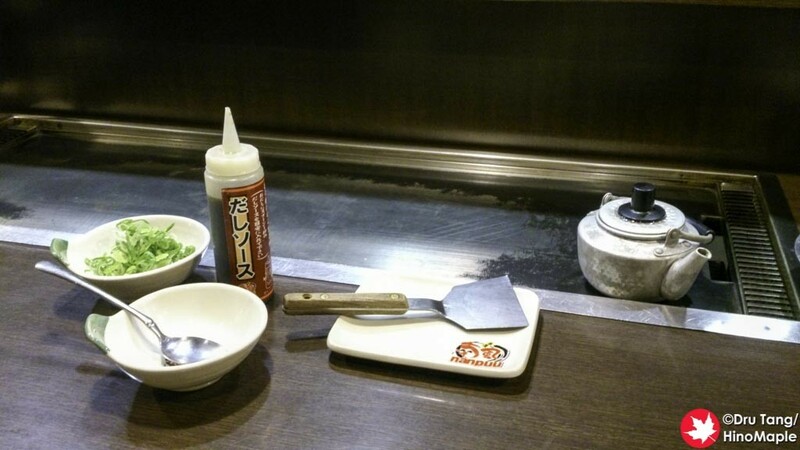 Nanpuu takes this one step further and does the same to okonomiyaki, but calling it doroyaki. Trying to find information on this anywhere in English is a little difficult and even in Japanese it is a little difficult, but I believe it is currently exclusive to Nanpuu only. The first thing you get is what looks like an omelette but with a hint of okonomiyaki. You are given a spoon and a small pot of dashi and a small bottle of concentrated dashi too. You start by pouring some soup into your bowl as well as adding a few green onions. You can add some of the concentrated dashi if you’d like but that is up to you. You then dig into the doroyaki with a spoon and enjoy the molten goodness. Doroyaki is a really interesting take on okonomiyaki but it isn’t something that I would crave a lot of. 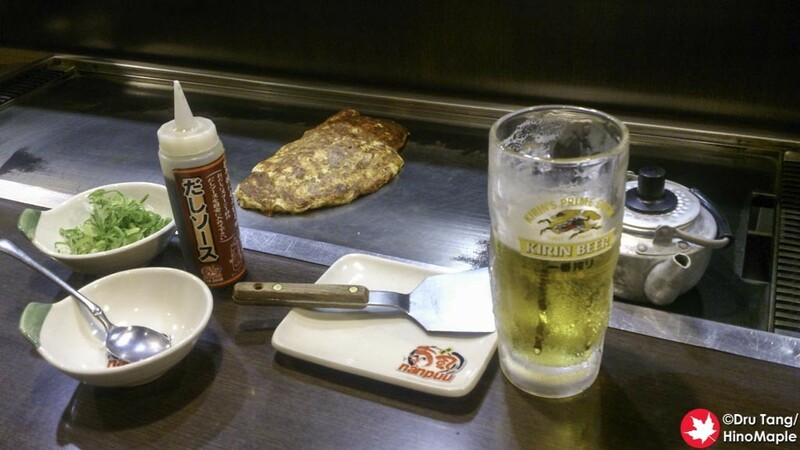 Okonomiyaki is really good as it is and monja is a great snack food. Doroyaki is in between this and while it is good I had a tough time eating it as I have a very sensitive tongue. If you have a chance to try doroyaki, do give it a try as it isn’t bad and I would have it again if I could. Nanpuu is also a good shop to visit and I’m sure you’d have a nice meal there. They do have shops all over Japan and a couple in Ikebukuro as well. Let me know if you go there and tell me what you think of doroyaki! 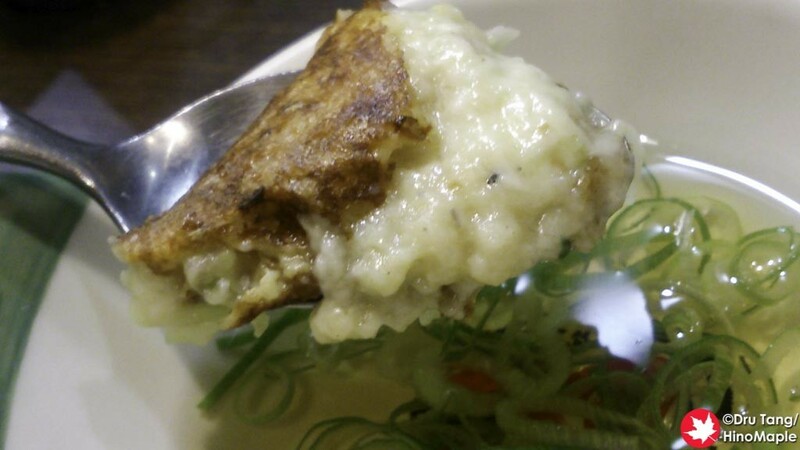 This entry was posted in Kansai Food and tagged Doroyaki, japan, Kobe, Mie, Nanpuu, Okonomiyaki, Tsu by Dru. Bookmark the permalink.